Porsche recorded an operating profit of $957.6 million in the first three months compared with $791.7 million for the same period last year. However, it was Audi that made the biggest impact with an operating profit of $1.8 billion, which was flat compared to last year. Bentley saw its profit increase by 65.9% during the first quarter while its Skoda joined the company’s heavy truck brands, Scania and MAN, also turned profits during the quarter. 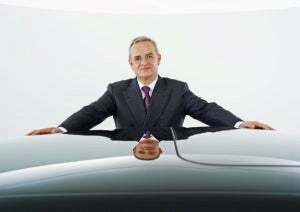 “The Volkswagen Group has established a strong position in recent years”, said Prof. Dr. Martin Winterkorn, chairman of the Board of Management of Volkswagen AG, in a statement. The company noted that global demand for its cars rose during the first quarter. New registrations in Asia, Western Europe, North America and Central Europe increased year-over-year, but fell in the company’s emerging markets in South America and Eastern Europe. Weak currencies in those emerging markets increased vehicles prices and this dampened demand. “These challenges mean that it is more important than ever that we focus on three key action areas: firstly, disciplined cost and investment management, secondly, our profitability targets and thirdly, improved profitability in all regions”, said CFO Hans Dieter Pötsch. Volkswagen expects 2014 sales revenue for the Group and its business areas to move within a range of 3% of the prior-year figure. In terms of the Group’s operating profit, Volkswagen is forecasting an operating return on sales of between 5.5% and 6.5%. This entry was posted on Tuesday, April 29th, 2014 at and is filed under Automobiles. You can follow any responses to this entry through the RSS 2.0 feed. Both comments and pings are currently closed.